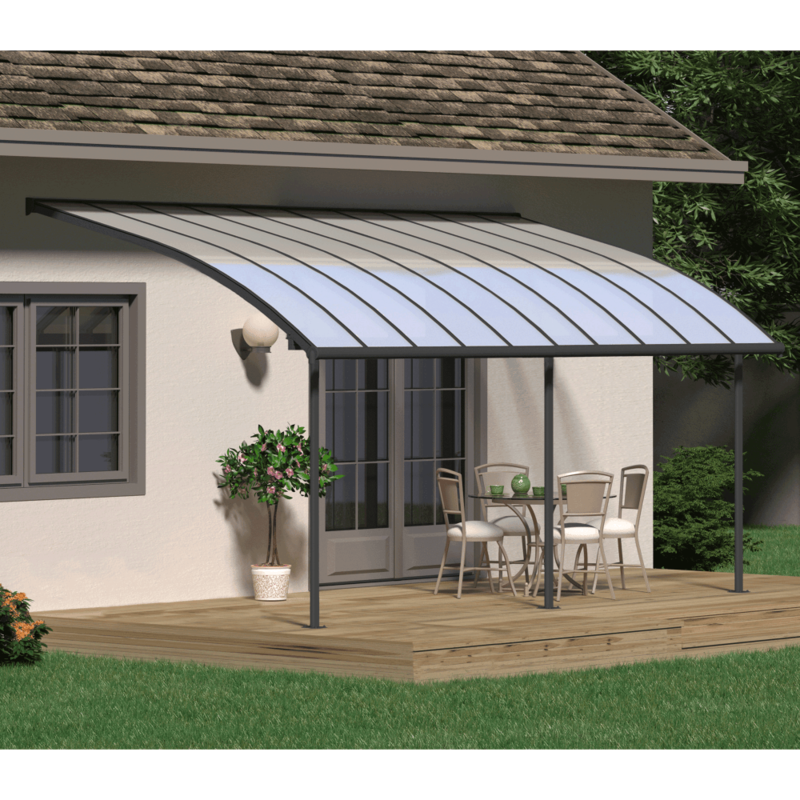 Palram Joya 3m Patio Cover – Grey: This stylish Contemporary Patio cover allows you to best utilise your outdoor space. Stay protected from adverse weather under this robust, hard-wearing construction. The powder coated aluminium and galvanised steel framework is extremely resistant to rust and corrosion guaranteeing you many years of maintenance free, outdoor enjoyment. The virtually indestructible, polycarbonate panels keeps the elements at bay whilst also blocking 100% of UV rays, avoiding discolouration and maintaining a 65% light transmission rate.